The first wood-fibre based paper made in BC was produced in the Port Mellon mill a century ago. 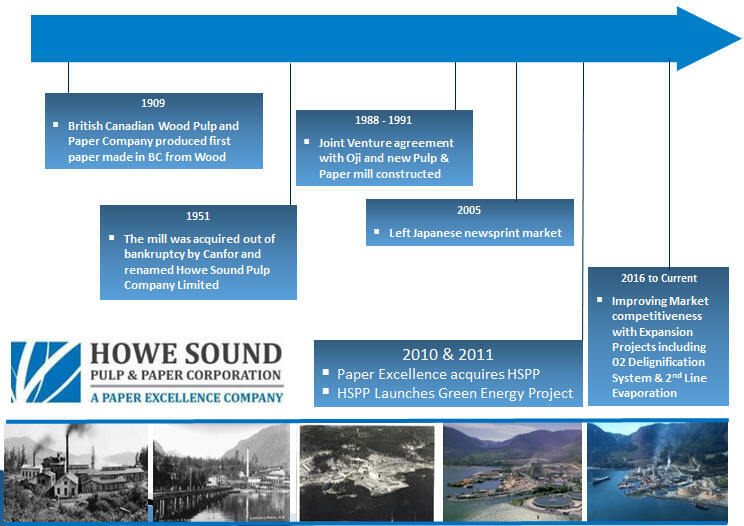 Today Howe Sound Pulp and Paper leads the industry in product quality and environmental protection. The mill at Port Mellon is an integral part of life on the Sunshine Coast. Generations of families who were first attracted to the area by mill jobs, stayed and made the Coast their home. In true West Coast fashion, these settlers weathered out the rough times in order to prosper from the good times. This same philosophy is the theme behind the mill at Port Mellon, and all those who have been a part of her proud history.